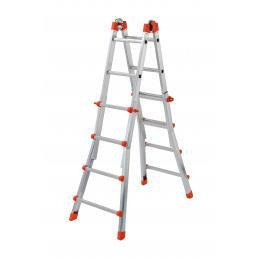 Among the Gierre aluminum ladders in the Mister Worker™ catalog, the most popular are the telescopic ladders: they are multi-functional, multi-purpose staircases, available in different versions. 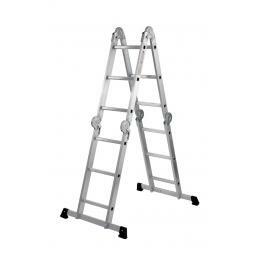 One of Gierre's strongest pieces is certainly the Gierre Peppina aluminum multi-function ladder, available on our website in different variants. 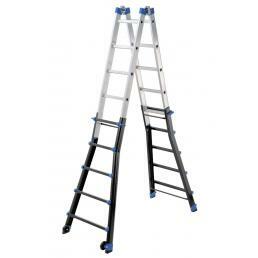 It is designed to reach different working heights, and can be used in three different positions: as an extendable staircase, as a double staircase or as a lame stair. The steel articulation with ergonomic knob allows you to open and close it very easily, while the semi-automatic closing system allows you to close it in total safety. It has a very usual structure, with anti-slip knurled feet that offer maximum stability. 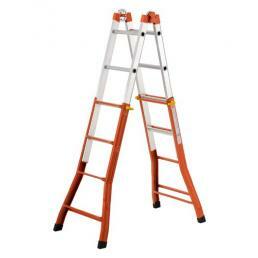 Easier, but still useful for many jobs, is the single-anodized aluminum extendable ladder. 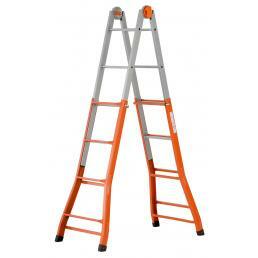 It is a telescopic ladder that is super resistant and light to carry, convenient especially for those who move from one place to another and need a reliable and safe ladder that is easily transportable. 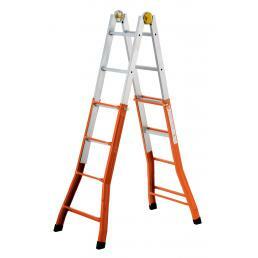 The height of each individual peg can be adjusted to suit your needs and, in the 11-peg model, allows you to reach heights of up to 4 meters. On Mister Worker™ you can find the telescopic ladder best suited to your needs: from the extendable ladder to the multi-position ladder, with the Gierre stairs you can carry out your work in complete tranquility. Furthermore, every Gierre telescopic ladder in the catalog is certified EN 131, certified according to European safety standards and ensures maximum reliability.